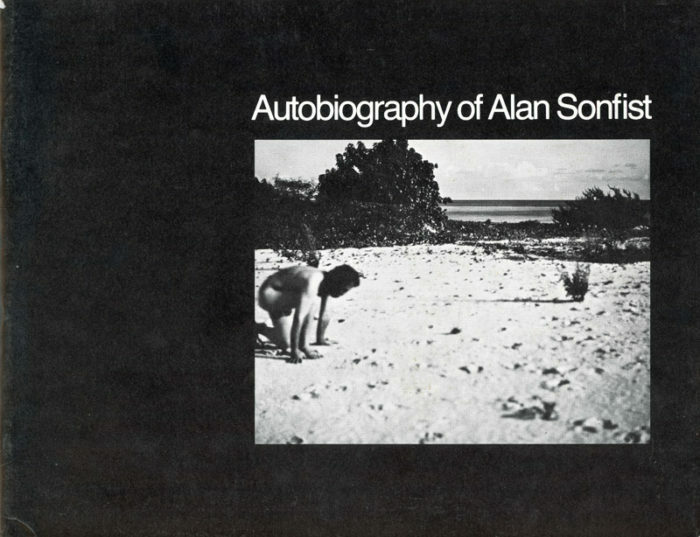 32-Page self-presentation artist book by Alan Sonfist, Autobiography of Alan Sonfist, published in conjunction with an exhibition of Sonfist’s work at the Herbert F. Johnson Museum of Art, Cornell University, 1975. 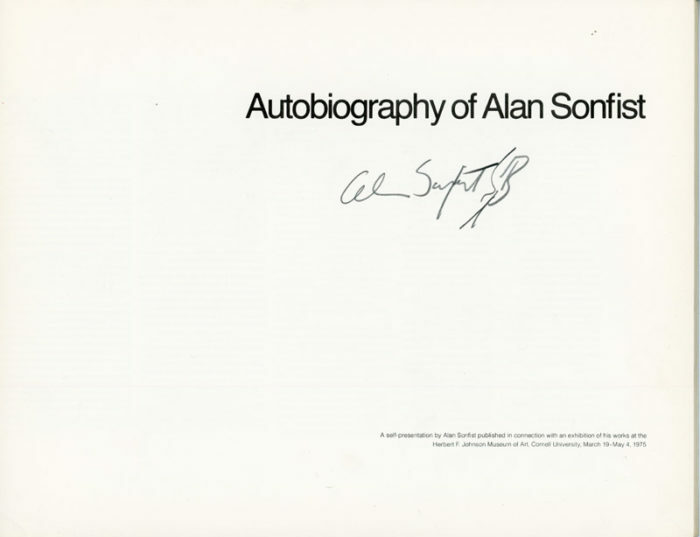 Book is signed by the artist. 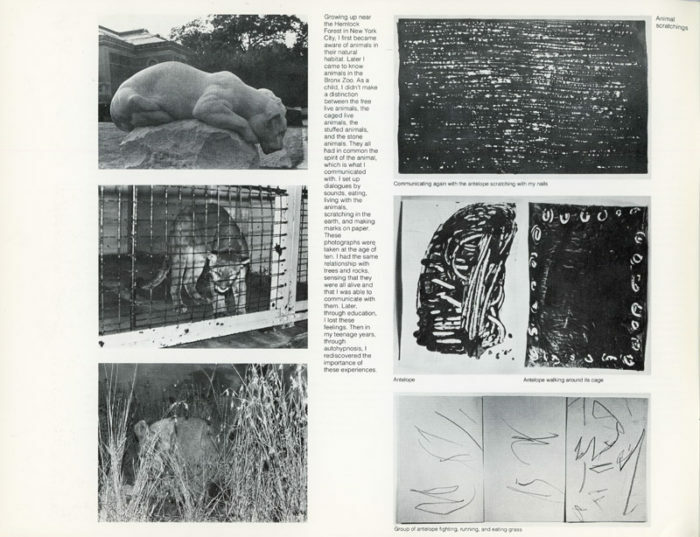 Features writing by Lawrence Alloway and Alan Sonfist, along with several black and white images of Sonfist’s work.